Bump, thump! What is that mysterious sound? Fig and his best friend, Stick, can’t sleep until they discover who—or what—is making that noise. Luckily, they have their friends—and a notebook and pencil from their special Finding Place—to help solve the mystery. 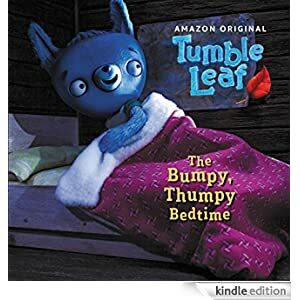 Thump and shout, can they figure it out…and finally get back to sleep? This Kindle Fire book is for readers ages 3-6 and is selling for only 99 cents today.